This mask was received as a giveaway prize. Directions: After cleansing, unfold the mask. 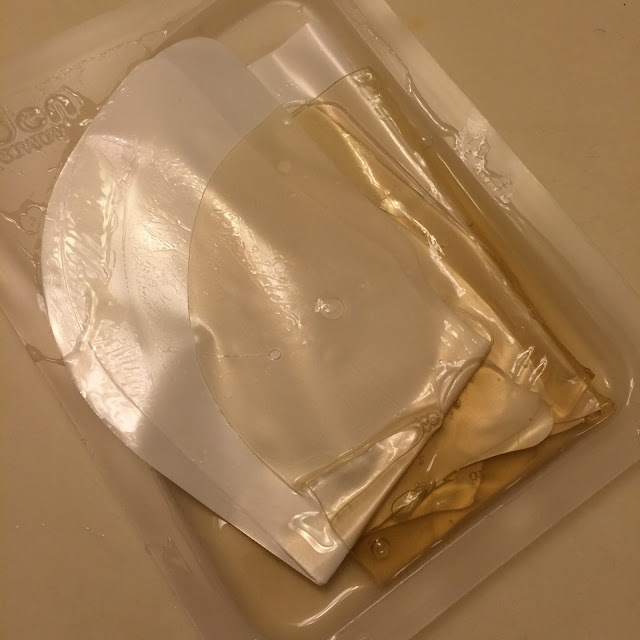 Apply the liquid serum in the mask packaging. 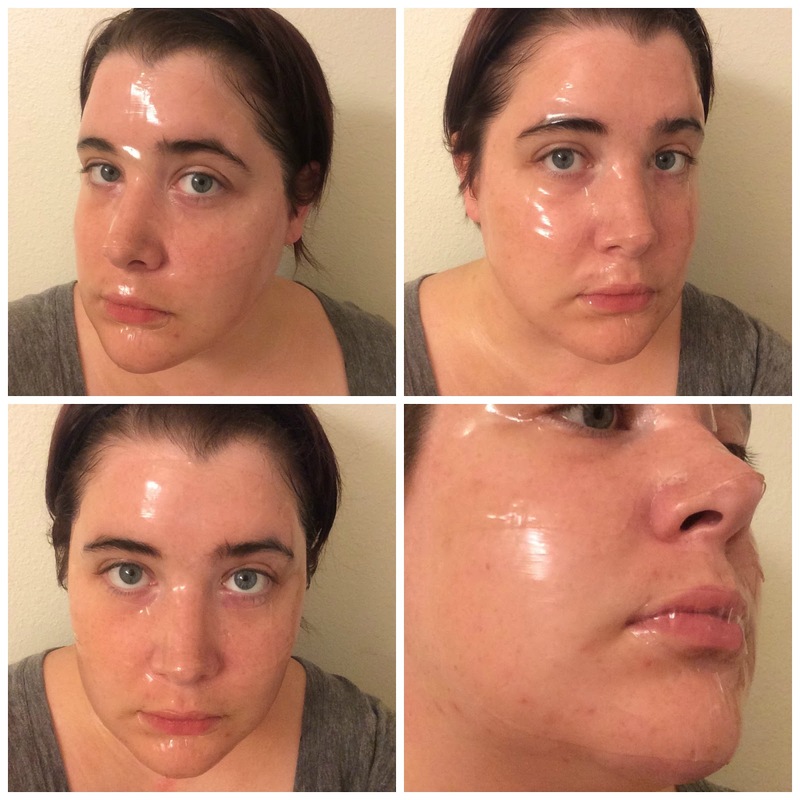 Then lay the gel sheet mask over your face and press lightly with your fingertips to set it in place. Leave it on for 20 minutes, then peel off. Gently pat any remaining residue into the skin. Discard protective white plastic backing after use. 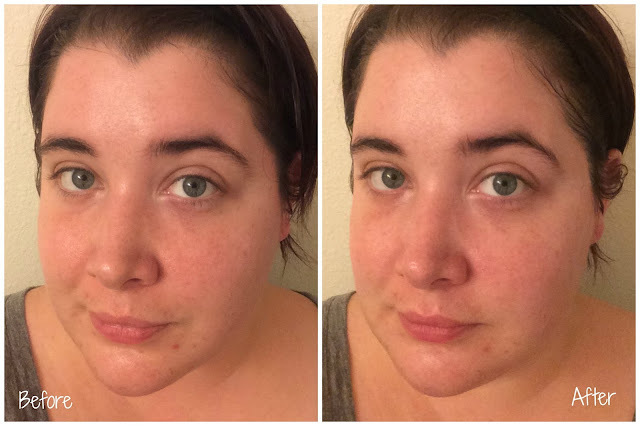 My skin is oily, dehydrated and acne-prone with hormonal cystic acne from PCOS. It is sensitive to alcohol and propolis. Performance: The Organic Fruits and Tomato Fermented Hydrogel from Whamisa comes in a plastic package with a peel-back opening. The mask smells like earthy herbs - it's calming and very pleasant. 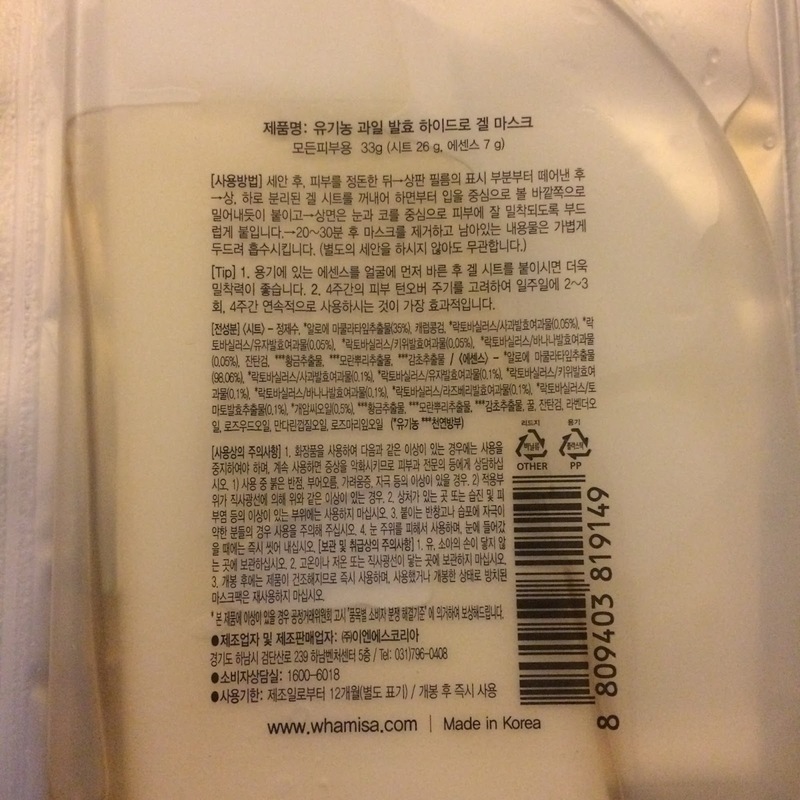 The essence is thick and gel-like, and there is extra in the plastic packaging. You gently pat the extra essence into your skin, then apply the two-piece gel mask over it to allow it to absorb better. This mask felt very cooling and soothing on my skin. I was able to wear it for almost an hour before it felt to thin and dry. 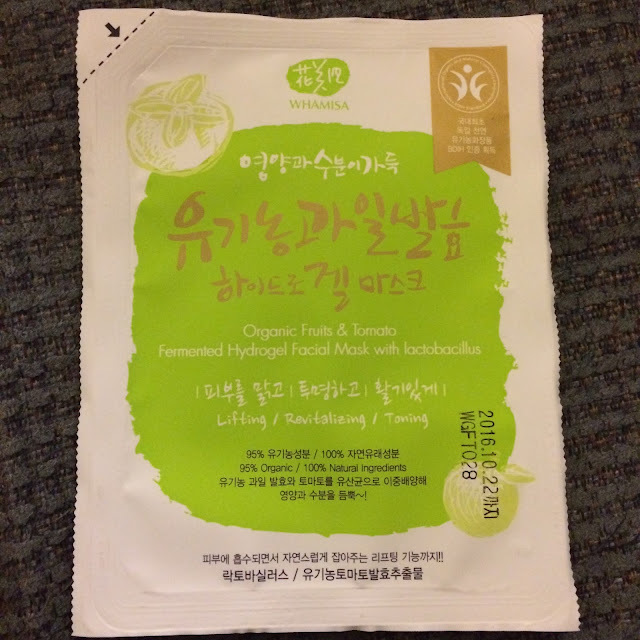 Verdict: This mask felt very cooling against my skin, and it was a very soothing feeling for irritated or tired skin. I felt like this was a mildly hydrating mask, but nothing spectacular. This was a fun mask to try, but not one that I feel merits the price-tag ($9 each) for repurchase.